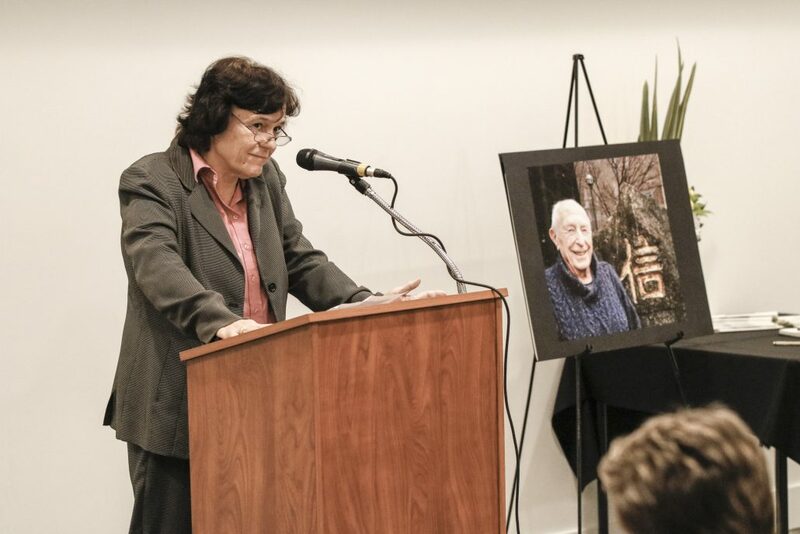 GPA@Luskin hosted its annual winter reception on Jan. 23. 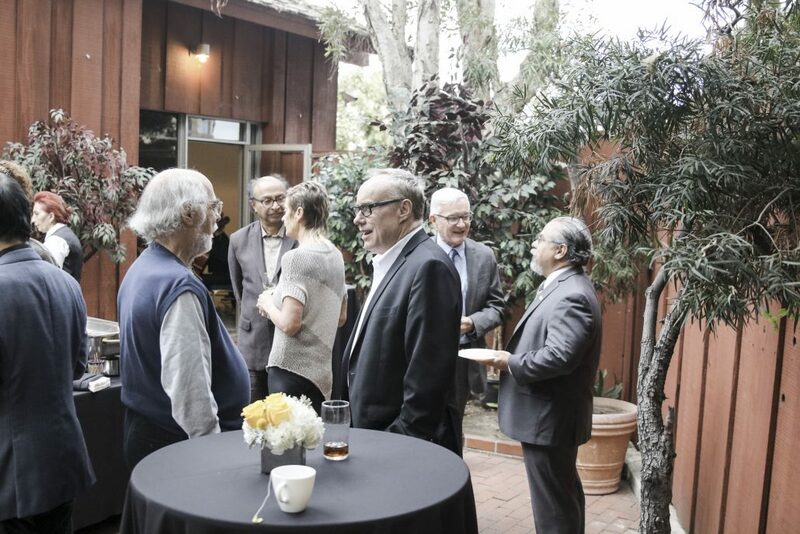 Luskin students had the opportunity to network with various faculty members and students from the program. 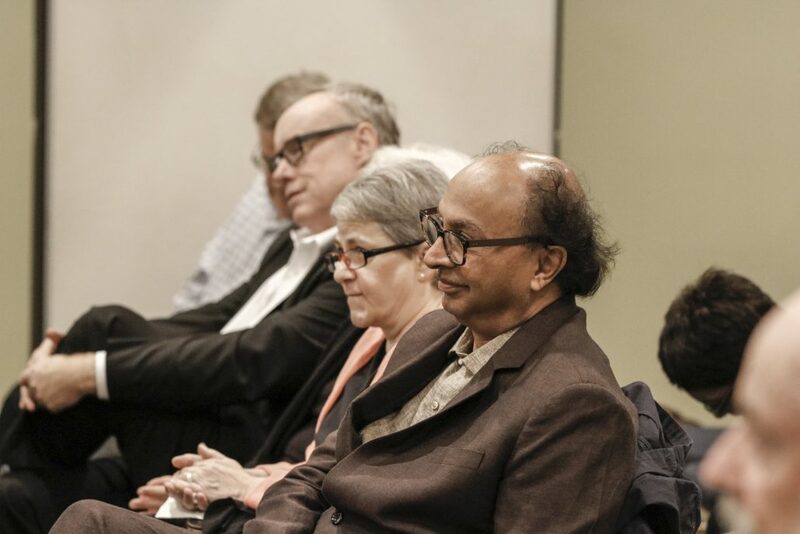 Turnout was high as attendees enjoyed Indian cuisine, heard from advisors Michael Storper and Steve Commins and got to know one another better. On Jan. 18, 2018, Theresa Williamson shared her experience as an community organizer in Rio de Janerio. In her presentation for the Global Public Affairs program at UCLA Luskin, she spoke of academic and practical ways to work with communities and empower them for positive development and change. Williamson walked through the thinking process and the lessons she learned from founding the organization. Click here to view the slides from her presentation. Children run in the streets of a Mexico City neighborhood as part of the peatoniños project, with streets closed for two hours of play time. Photo courtesy of Laboratorio Para La Ciudad. From the sun-bleached poor neighborhoods on the edge of Bengaluru, India, to the traffic-choked streets of Mexico City, students from the UCLA Luskin School of Public Affairs have been tackling global urban challenges this summer as they participate in a unique fellowship program. Through the International Practice Pathway (IPP) fellowships sponsored by the Luskin School’s Global Public Affairs Program and the UCLA Urban Humanities Initiative, master’s students from all three of Luskin’s departments (Public Policy, Social Welfare, and Urban Planning) received placements with recognized international organizations. “These are not ‘trips.’ They are professional-level placements in low- and middle-income countries that provide students with a hands-on experience in different areas of global public affairs,” said Stephen Commins, associate director of Global Public Affairs at Luskin. 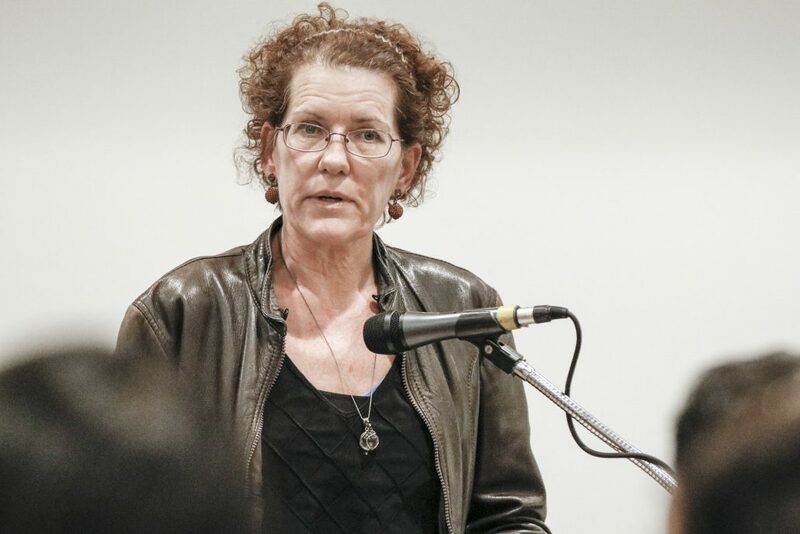 Commins, also a lecturer in Regional and International Development in the School’s Department of Urban Planning, said that students can link their required second-year research and policy projects (requirements for their respective master’s programs at Luskin) with these placements. IPP, an integral part of the Global Public Affairs Initiative at Luskin, is a global gateway for students from all three Luskin departments to work with local and international communities negatively affected by various political, economic and environmental processes within the context of international development. As part of the program, all Luskin IPP fellows have been blogging about their experiences this summer on the Global Public Affairs website. Gus Wendel’s IPP placement took him to Mexico City. For the Urban and Regional Studies master’s (MURP) student, the joy on a child’s face in the simple act of play says it all — even from behind the mask of a luchador, a Mexican wrestler. But in Mexico City, one of the world’s most populous urban centers, the streets are choked with cars and relentless traffic. It’s no place for children to play freely without worry and constant danger. That may be changing, if only two hours at a time. But it is a start for Wendel who is focusing on creating safe, temporary play spaces for children to run, jump rope or enjoy crafts and other activities. Wendel worked on a project called Peatoniños, developed in collaboration with the Urban Humanities Initiative and Laboratorio Para La Ciudad. 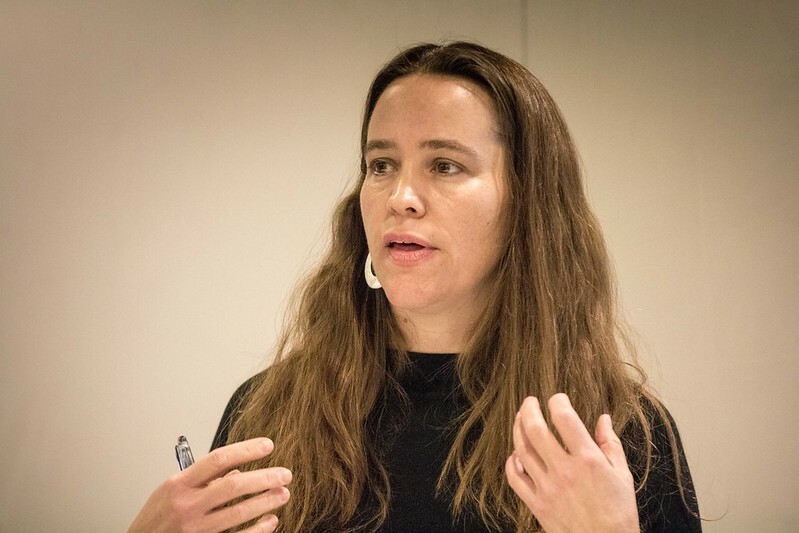 “Peatoniños is a project that aims to liberate and recuperate the streets of Mexico City so that kids can use them to participate in activities such as playing freely, conversing with neighbors, learning new things, imagining different worlds, or making new friends,” Wendel said in an interview. The name of the project is a combination of the words peatón (pedestrian) and niños (children). 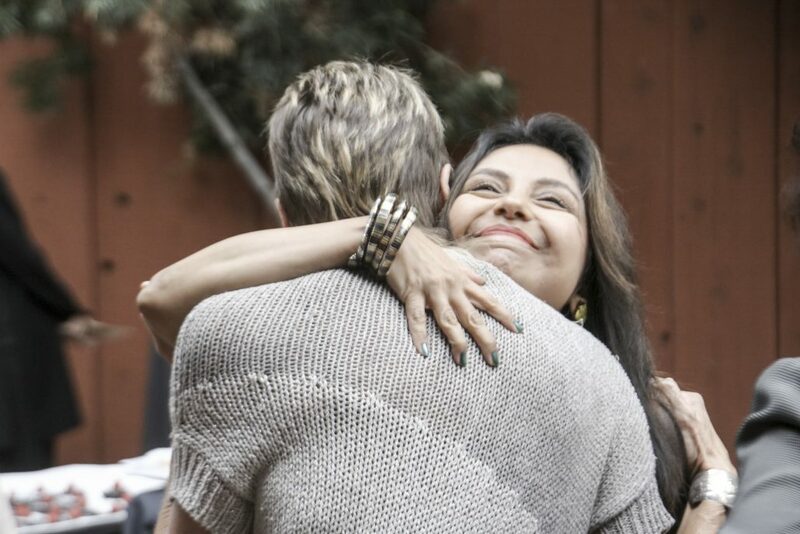 He said the collaboration began after a visit to UCLA by Laboratorio founder and director Gabriella Gómez-Mont, who took part in a conversation on issues of youth mobility, mortality and playfulness in Mexico City. The conversation focused on changing public consciousness through changes in public narrative. Part of that narrative, Wendel explained, includes the following statistics: In Mexico City, 56 percent of the population is under 26 and the number one preventable cause of death for youth is pedestrian-automobile accidents. “This stark condition implicates a range of current practices surrounding cars, traffic, pedestrian mobility, youth mobility, multi-modal access to the street,” he said. 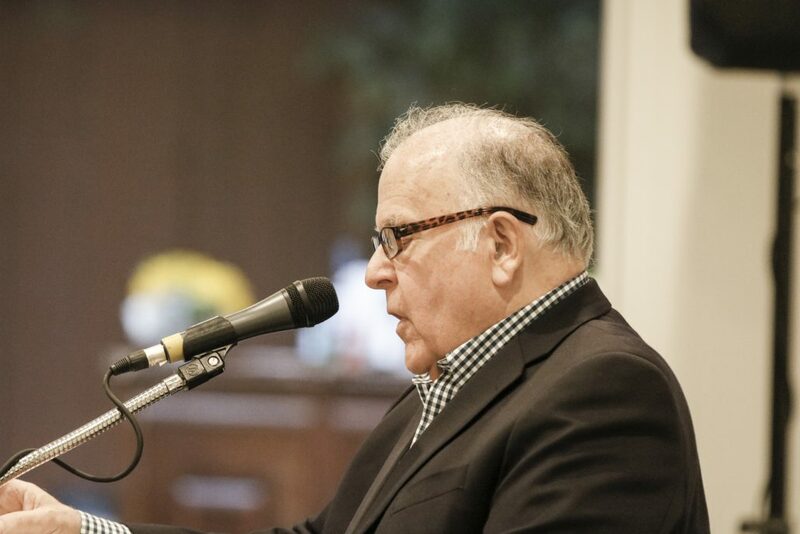 While it is still early to draw conclusions from the experience, “it is hard not to see the ways that Los Angeles can learn from Mexico City’s example — specifically the relationship between community members and local government,” Wendel said. “But each play street intervention is only successful as far as local community members are willing to get involved,” he added. For example, those who informally operate public parking, known as “viene vienes,” voluntarily helped to close down streets to traffic for two hours during the first intervention, making it possible to ensure kids are playing in a safe place. Wendel said that establishing trust between community stakeholders and government and planning for a certain degree of uncertainty seem to be critical elements to ensuring that these types of interventions work. “Cars and the culture that supports them are relentless, both here and in L.A., so establishing different tactics for slowing traffic and shutting down streets in a civil manner is crucial,” he said. Upon landing in Zambia in southern Africa, Corina Post, a master of social welfare (MSW) student at Luskin, said her first impression was that everything seemed “normal” and similar to Los Angeles. “The streets are paved; traffic laws are abided,” she blogged. But Post, who was placed with World Vision, said she soon noticed small differences. “I felt not too far from home initially, until subtleties reminded me of the privileges the western world holds,” Post said. Other small differences included her interactions with the people in her host country. “People seem to be quite kind to me — honestly, kinder than I have ever been received abroad.” For example, when Post said she went to an exercise class the teacher offered to drive her home. And when asking for directions she said she was not only given directions but people offered to walk with her, a “change of pace from the ‘time is money’” culture she said is used to in the U.S.
Master of Public Policy (MPP) student Diego De La Peza traveled to Santo Domingo in the Dominican Republic. 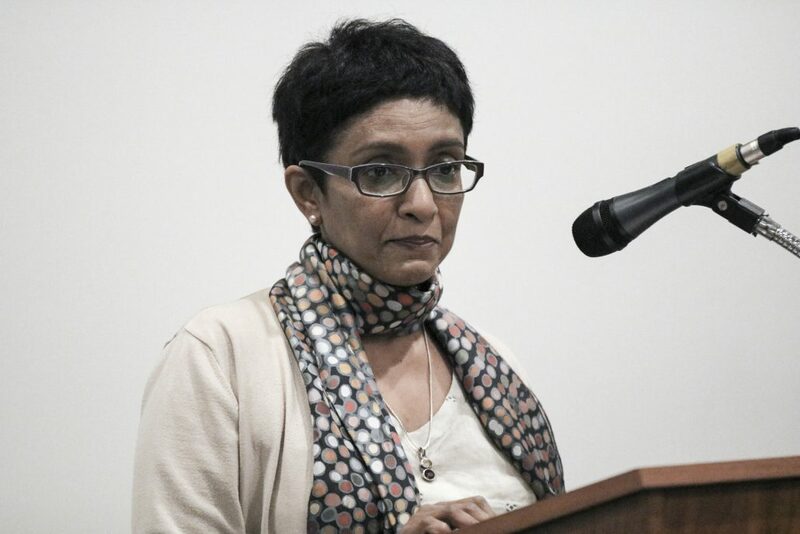 There he was paired with the Instituto de Sexualidad Humana, a sexual and family health clinic at the Universidad Autonoma de Santo Domingo, which focuses on educating the Dominican population on sexual abuse and health issues. “My project has been conducting quantitative research on victims of sexual abuse and analyzing patterns of services solicited, common diagnostics, and social behaviors of these patients,” De La Peza wrote in his blog. He said that his goal is to combine his findings with procedures set by the ministry of public health. He explained that the purpose is to make recommendations on how primary health doctors should respond when a sexual abuse victim seeks medical attention. De La Peza said that this experience has been educational and inspiring. A group of Luskin MURP students studied the Tacubaya neighborhood of Mexico City in the fall 2015 and winter 2016 quarters. Within the heart of Mexico City sits the bustling neighborhood of Tacubaya, population 5,000. Centuries ago, the area was considered rural, but in the mid-19th century urban growth in Mexico City swallowed Tacubaya and it became one of the poorer neighborhoods in a giant metropolis. 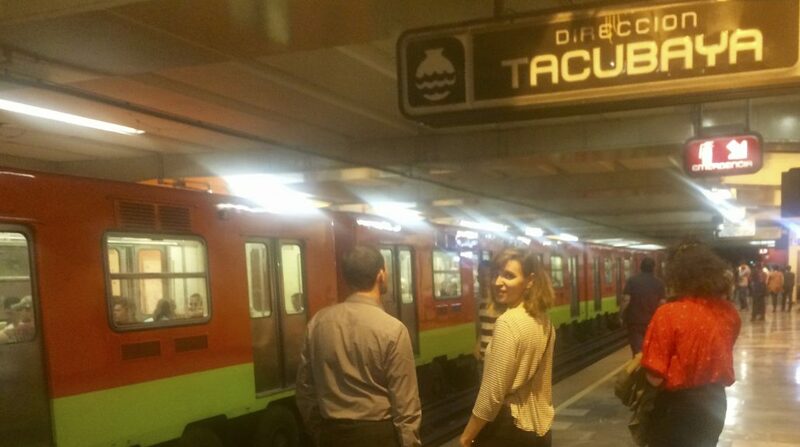 Tacubaya of today is defined by intersecting transportation lines that transformed the once-sleepy neighborhood into a central transit hub for thousands of commuters who swarm the area at various times of the day and night. Crime, poverty, unemployment and informal housing are all painful evidence of a community that has suffered from neglect and a lack of investment. Freeway development and an absence of a cohesive community plan have led to a dearth of public amenities as well. It’s a town that could use help — the kind of help that urban planners could provide. To address Tacubaya’s issues, the Secretaría de Desarrollo Urbano y Vivienda (SEDUVI), an agency within the Mexico City government, hired international consulting company CTS EMBARQ to help design a new development tool, El Sistema de Actuacion por Cooperacion (SAC). Translation: a performance system by cooperation. The hope is that EMBARQ’s SAC will help revitalize Tacubaya by providing incentives for developers, thus stimulating new affordable housing development and improving transportation while avoiding pitfalls such as congestion, gentrification and displacement. Enter the UCLA Luskin School of Public Affairs, specifically master’s students from the Department of Urban Planning. Luskin student David Leipziger worked at the World Resources Institute and established a relationship with several EMBARQ offices. Leipziger asked EMBARQ if there might be an opportunity to work with one of the company’s offices around the world. They suggested Mexico City. Out of this inquiry came a “really fruitful partnership,” according to Choudry, and a 2015-16 capstone project for 16 Luskin MURP students. EMBARQ and Mexico City officials agreed to work with the Luskin students, who studied Tacubaya in the fall 2015 and winter 2016 quarters and provided a detailed report on recommendations that could help officials design a road map for the future of the neighborhood. 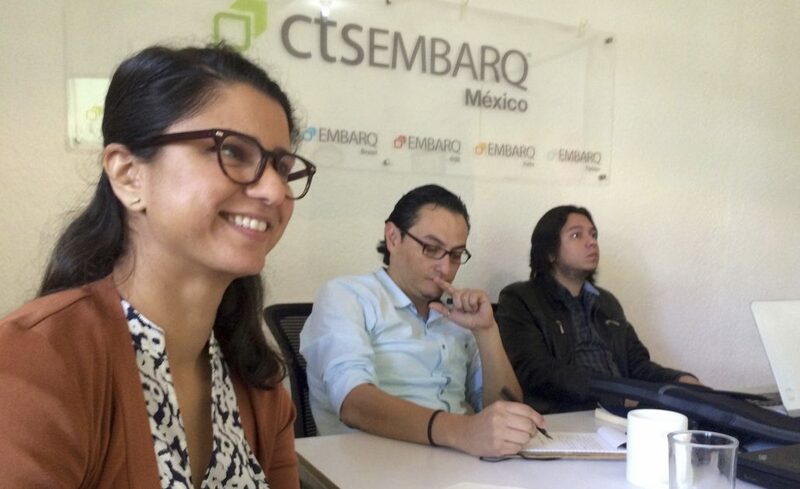 UCLA Luskin student Shafaq Choudry with two officials from CTS EMBARQ at a meeting in Tacubaya. 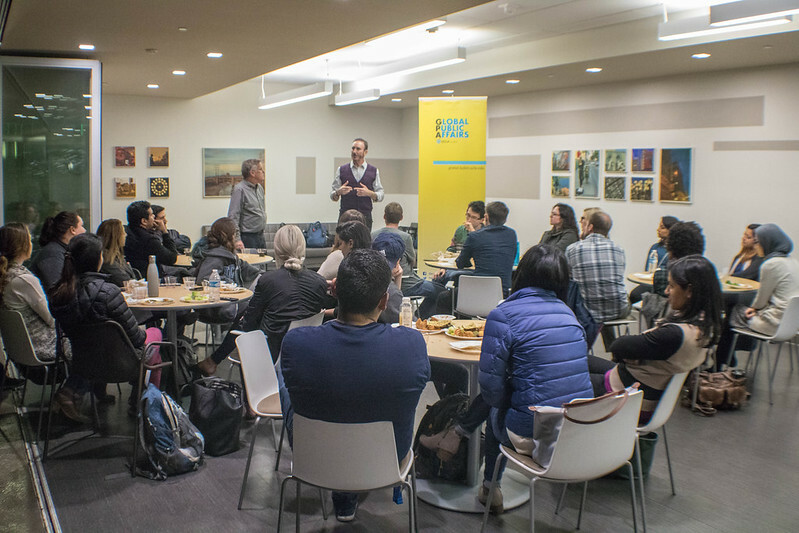 The research initiative was arranged by Leipziger and sponsored by Stephen Commins, a lecturer in Urban Planning and associate director of the Global Public Affairs program at UCLA Luskin. Once the details were finalized, the Luskin students conducted extensive research about the context and history of Tacubaya. So 16 students divided into four groups. The teams broke down their daunting task (most capstone projects require a full academic year, not just two quarters) into four categories: incentivizing inclusive housing development; integrating informal housing (any form of shelter outside of government regulation); enhancing mobility and access; and revitalizing public space. Choudry said the students very quickly realized that the project would offer important educational and life lessons. Another challenge: Only four of the 16 students could fluently speak and read Spanish. “Google translate is a very good tool,” Choudry said. The students traveled to Tacubaya in shifts, one group going in early December and the others during the second week of January. 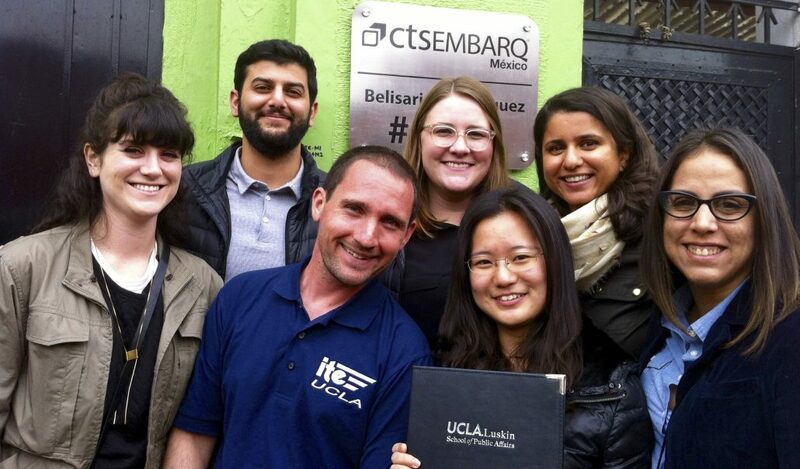 After two visits, countless meetings and hundreds of hours of research, the UCLA Luskin students produced an executive summary and a set of recommendations designed to inform and assist CTS EMBARQ and Mexico City officials with the task of improving life in Tacubaya. 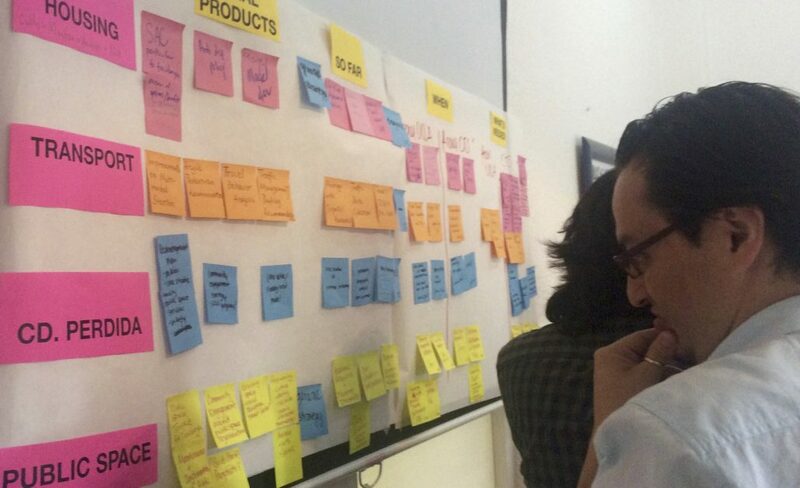 Creating a more participatory process that includes Tacubaya residents in housing development decisions. Establishing cooperative methods of ownership in informal housing developments to prevent future displacement. Investing in bicycle paths and traffic-calming measures to help ease congestion caused by heavy traffic surrounding the transit hub. Developing public spaces that fit the community’s needs and desires while designing a future that embraces environmental sustainability. Creating a tiered public benefit zoning system to provide an incentive for development. The students’ final recommendations have been submitted to CTS EMBARQ. “They were very pleased with the report,” Choudry said. “Our hope was that this could help inform their work, moving forward. That’s how we thought the implementation of this report could be seen. What we’ve done is handed it all off to EMBARQ, with the trust that they may carry it forward to the officials in Mexico City. Commins said the Tacubaya Capstone project is a great example of how students can fulfill the UCLA Luskin mission. “Their presentation was indeed representative of the commitment of our students to engage in real-world questions, to dig into the complexities of urban planning in Mexico City, and to propose specific approaches that are both attuned to the needs of a diverse population and grounded in the specific political/regulatory/environmental context of Tacubaya,” Commins said. Read the students’ full report. Stephen Commins works in areas of regional and international development, with an emphasis on service delivery and governance in fragile states. 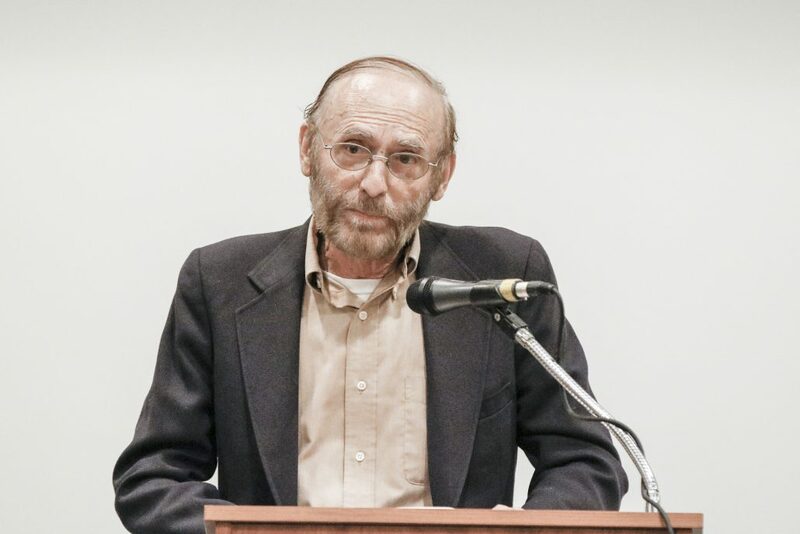 Commins was Director of the Development Institute at the UCLA African Studies Center in the 1980s, and then worked as Director of Policy and Planning at World Vision International in the 1990s. Dr. Commins was Senior Human Development Specialist at the World Bank from 1999-2005. His work at the World Bank included “Managing Dimensions of Economic Crisis: Good Practices for Policies and Institutions,” the establishment of the Bank’s children and youth cluster, and a survey of service delivery programs implemented by civil society organizations. Commins was one of the co-authors of the World Bank’s World Development Report 2004, Making Services Work for Poor People. Following the report’s publication in 2003, he managed several initiatives on service delivery in post-conflict countries and the relationships between political reform and improved services. Over the last decade, he has continued to work on service delivery programs, including the major study, “Service Delivery in Fragile States: Good Practice for Donors,” for the Fragile States Group of the Development Assistance Committee of the Organization for Economic Cooperation and Development in 2006. Some of his fragility and disaster work has included “testing the DFID state building” framework in Lao PDR and Cambodia, managing studies on disasters and safety nets for the World Bank in Bangladesh, a co-authored paper on participation, accountability and decentralization in Africa, and producing studies on health systems strengthening in fragile states for World Vision Canada and on sub-national fragility in India and Pakistan for the HLSP Institute. He also led a team of policy researchers for the UK government, who produced a policy note and guidance resource for designing Multi-Donor Trust Funds or “Pooled Funds” in fragile states. He has worked for five years in support of a long-term study of livelihoods and post-conflict reconstruction in Pakistan, as part of a seven-country project with the Sustainable Development Policy Institute in Islamabad and the Secure Livelihoods Research Consortium at ODI in the UK.. For academic years 2013-15, he worked as the consultation and dissemination coordinator for the World Bank’s World Development Report 2015 (Behavior, Mind and Society). His other projects at that time included a four-country study with the Overseas Development Institute on community-driven development and livelihoods in four South Asian countries, support for World Development Report 2017 (Governance and the Law), and a project on designing long-term urban programs for urban areas affected by the Syrian refugee diaspora (Lebanon, Jordan and Turkey). His recent work has included designing two workshops, one on urban water and displaced populations and another on municipalities and livelihoods for city officials from Middle Eastern countries impacted by the Syrian diaspora. He also has been involved with the World Development Report 2018 (Education: The Learning Crisis), an assessment of education systems and needs in South Sudan, a study on providing digital skills for young women in low-income countries, and the second phase of the Secure Livelihoods Research Consortium. At UCLA, Dr. Commins teaches courses in regional and international development. His current courses are on urbanization in developing countries, climate change, water and health, and disaster management. 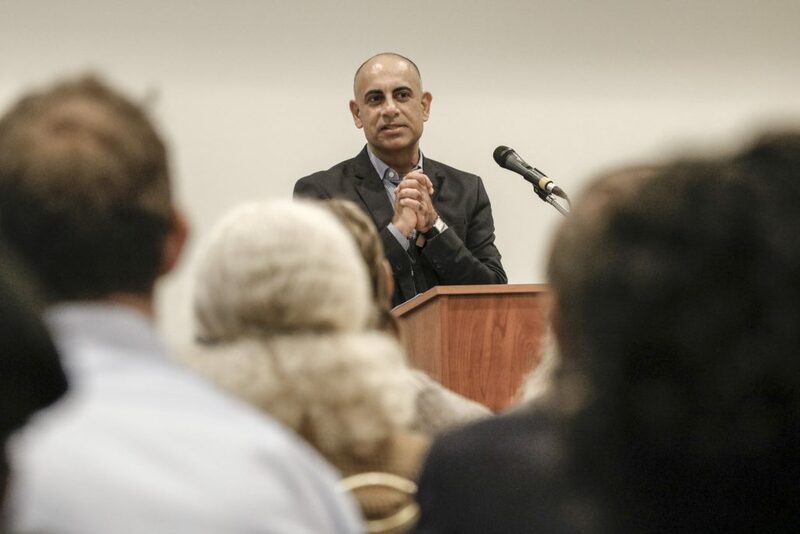 He is the Associate Director for Global Public Affairs at the Luskin School. What is ‘Post” About “Post-Conflict’? Nepal is a country that is currently labeled ‘post-conflict’. But after two civil wars, one driven by an armed insurgency which later allied with a non-violent democratic movement, and the second spurred on by ethnic tensions in communities bordering India, the Nepalese still struggle with the daily tasks of building a new political system. The label ‘post-conflict’ is a designation that belies the complexities of the country’s status and what is required for a long term, peaceful, political settlement. Nepal occupies a particular niche in the “aid business”, as it is not a ‘strategic’ conflict like Afghanistan, it is not an aid orphan like the Central African Republic nor is it an aid darling like South Sudan recently. As a result, Nepal exists within the broad sweep of countries that have been labeled ‘post-conflict’ by the United Nations and other agencies, and, in the current jargon, a ‘Fragile and Conflict Affected State’. In the late 1990s, chastened by the failure of the UN and major political powers to effectively address the human catastrophes of the civil wars in Somalia, Rwanda and Bosnia, as well as the limits of ‘democratization’ and ‘good governance’, a number of international agencies began to give more serious attention to what eventually became labeled ‘Fragile and Conflict Affected States’. The premise of this approach is that there are complex, historic reasons why states have different forms of violent political conflict and political fragmentation, and there are also situations where states may experience the decay of public institutions even without overt violent conflict. This means that the UN and donor agencies have to address the underlying causes of ‘fragility’ rather than just provide humanitarian (neutral) aid – or as one observer put it, a ‘humanitarian fig leaf’. Much literature has been devoted to debating ‘fragile’, ‘failed’ and ‘failing states’. Frequently it misses the mark by not delving into the historic specifics of a country or region, or descending into superficial explanations like ‘these communities never got along’ or the government was doomed from the start’ – explanations that lack depth or insight into the nuances of the specific reasons and dynamics of fragility. At the same time, the role of international agencies, which sometimes (but not always, hence the term ‘aid orphans’) provide large amounts of finance for both short-term ‘humanitarian’ assistance and longer-term ‘post-conflict’ reconstruction, poses another challenge. The problem with this approach is that donor agencies are making decisions on what to label a specific situation rather than the messy realities of politics (again, sadly, South Sudan’s collapsed political settlement comes to mind). Donor time frames and real politics rarely cohere. As part of a four-country study on the impact of Community Driven Development projects on livelihoods in FCAS (Afghanistan, Pakistan, Sri Lanka and Nepal), I worked with the lead Nepalese researcher on the initial interviews and inception for the country study. Landing in Nepal’s capital Kathmandu provides no haunting images of war or political turmoil. On appearance the country is back in business. Indeed, fortunately for the country, the Maoists involved in the first civil war did not engage in the level of violence or social destruction found in some other countries (up to 20,000 people died, so ‘level’ is a sadly relative term). The Maoists currently function as a political party similar to the FMLN (Farabundo Martí National Liberation Front) in El Salvador or FRELIMO (Mozambique Liberation Front), which moved into the political process after the peace agreements in their countries. But talk for any amount of time with Nepalese and a complex picture of hopes and aspirations as well as uncertainties about a very nascent political system emerges. The politics of geography, as it were (Mountains, Hills, Terai), the debates about federalism (too much or too little depending on the individual) and the problematic aspects of nation state building and agreeing on the ‘imagined community’ that remain unresolved. In the end, whatever label is applied by international donors, Nepal remains a country that has an evolving, contentious and sometimes fraught political process. Perhaps the label should be changed to ‘post-violent conflict’ (though different forms of violence frequently morph into criminality after the overt political violence has been reduced) as in reality all effective political settlements do not end conflict, rather they provide mechanisms that at best may achieve general acceptance for ways of addressing inevitable disagreements in non-violent, democratic and equitable ways. This can only be seen from the ground up, as each violent conflict or manifestation of state fragility has its own history, meaning and narratives. ‘Post’ is a label of hopefulness about a better future, a short-hand for donors to change how they give aid, and, perhaps, a step towards a political settlement that works better for more people than the previous one. Global Public Affairs’ Stephen Commins Contributes to World Bank Report Urban Planning lecturer Stephen Commins was one of the researchers that put together the 2015 World Development Report. Urban Planning lecturer Stephen Commins was part of a team of researchers that wrote the World Bank’s new World Development Report for 2015, Mind, Society and Behavior, published on Dec. 4. The report focuses on understanding human behavior for economic development, psychological and social perspectives on policy. It aims to capture how the processes of the mind and the influence of society can improve implementation of development policies and interventions that target behavior. Commins said he thinks the report asks very different questions about the nature of public policy and the role of government and the way we understand poverty and power than what has been the standard approach to development. “People are social beings and have a sense of social bonding. This is not surprising but it’s surprising that it hasn’t been taken into account more frequently,” he said. Commins also wrote a piece about the report for Public World blog. Though it is typically assumed in economic policy making that people think rationally, the report finds more complex and thorough information about how people make decisions. It finds that people think automatically, socially and with mental models which are drawn from social networks, norms and shared history and society. The goal is to integrate these findings into policy making and practice and make them available for systemic use by organizations and professional staff working in diverse countries and communities. The findings apply both to these professionals and to individuals in developing countries. Commins said there has been huge international interest in the report. His role is to bridge the gap between the external audience and authors. He does this by managing events with professionals and government officials around the world to discuss the report’s main ideas and helping them think through what it means for practice and implementing policies in different countries. Commins also worked with the report’s authors to discuss key issues and think about the larger puzzles with a small group of experts on the subjects. Since he was not an author himself, Commins played the role of a neutral party to give suggestions about what could be improved, what ideas to include. He had the most input in the health, development professionals and policy implementation chapters. “With any author, they can get tied into the subject and not think about who’s going to use it. I tried to think about the external audience and how to make the report easier to implement,” he said. Commins said he particularly enjoyed the subject of the behavior of development professionals and that it was a critical chapter. 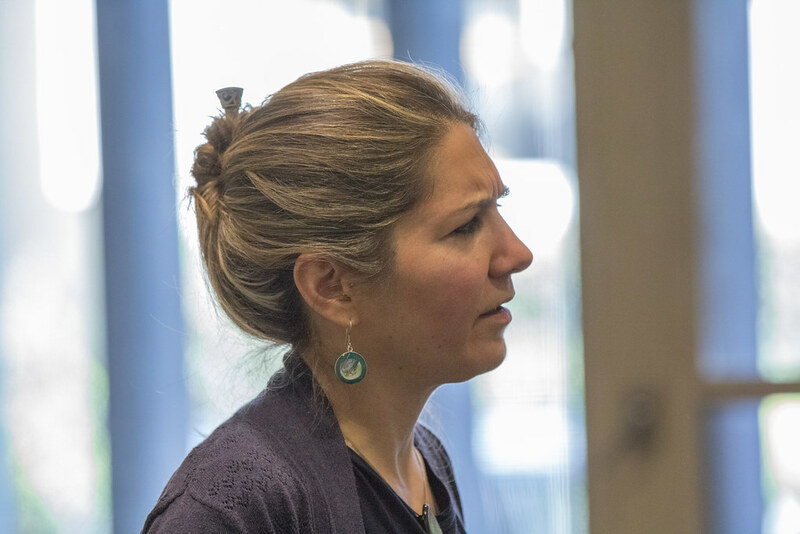 Commins is also the associate director of Global Public Affairs at UCLA Luskin, which addresses problems and processes of global public affairs through teaching, research, and partnerships and offers preparation for students seeking international careers. He said the world report can help students in GPA to prepare to become insightful and competent professionals by helping them learn how to ask good questions, be self critical and understand the culture and context of their work. Seven students from all three departments at UCLA Luskin are going abroad this summer to do internships through the Global Public Affairs Initiative’s International Practice Pathway program. The IPP program is an integral part of the Global Public Affairs initiative and offers the unique opportunity for Luskin students to intern abroad as a part of their coursework. Through IPP, Luskin students can study international affairs and apply their studies firsthand in under-served communities around the world. Before going overseas, students attend lectures in cross-disciplinary studies such as urban planning, social welfare, public policy, economics, administration, public health and environmental sciences in order to prepare for a future in global careers. After a year-long preparation period, students then apply for summer internships through well-established international organizations in order to conduct research and fieldwork abroad. 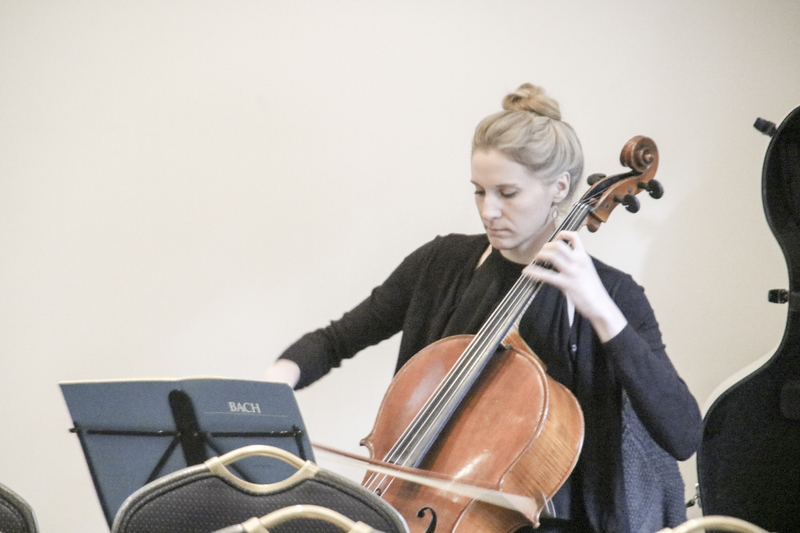 From the start of the program in 2011, IPP has expanded greatly and will be sending seven students abroad to various parts of the world this year. “Our two main goals for IPP are to keep growing the summer fellowship program and provide more structured career counseling for students,” says Commins. Public Policy student Jonathan Slakey is currently preparing to go abroad with IPP next year. “I knew I wanted to travel to India and help in development work, specifically with the human rights NGO, the Association of Relief Volunteers (ARV),” says Slakey. The ARV serves impoverished communities in Andhra Pradesh, India, and Slakey will be traveling to their headquarters to help the NGO with expansion and publicizing in order to receive necessary funding. “There are so many excellent development programs in the world that lack coverage in developed countries, which are major potential sources of funding for charitable organizations,” explains Slakey. Though IPP does not have a set of required courses, only lectures, students apply the skills and knowledge they have gained in their degree coursework to their work abroad. One of Slakey’s courses on Education Policy, taught by Professor Meredith Phillips, will play directly into his work with ARV. “I have had to work with data all quarter, and I have a better understanding of how to organize data effectively and what to look for in a dataset, all skills I hope to use with ARV’s data in India,” he says. As IPP continues to expand, more Luskin students may also have this unique opportunity to witness firsthand how the theories and data from their coursework operate in organizations and communities around the world. To see a list of the countries students are going to and follow along with them on their travels, visit the Luskin Abroad blog here. Urban Planning students going on a summer exchange program to China and Jon Baskin, a student traveling to Canada on the Dr. Edwar Hildebrand Fellowship for Canadian Studies, will also be contributing to the blog.